This was another book that was very easy to enjoy. Station Rage has action and intrigue, beginning with some history of DS9 and the Cardassians, building into scenes of espionage and eventually into guerrilla warfare on the station. On the space station, Deep Space Nine, in an unexplored area, Starfleet discovers preserved remains of several Cardassian warriors from Cardassia’s distant past. Captain Sisco, worried about having a diplomatic dispute with the Cardssians, orders the area sealed off, but the horrors lurking within have only just begun to emerge. 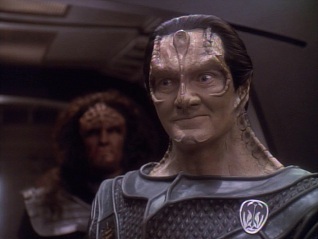 Garak, an exiled Cardassian and the only alien of his kind welcome on the station, recognizes the legendary High Gul among the bodies, a celebrated military tactician from Cardassia’s past upon whom countless myths of courage still surrounded. What appeared to be corpses were actually live beings trapped in suspended animation for a far longer duration than the technology was designed, still waiting to be revived. Before long, the station is occupied by determined and highly experienced soldiers that have an intimate knowledge of DS9’s technology. The Cardassians, running on eighty year-old intelligence, assume they are still at war and perceive Starfleet as a hostile occupying force. After the systems of DS9 begin to malfunction, Captain Sisco deduces that a hostile force in on the station and he orders all non-Starfleet personnel to evacuate the station and begins sweeping the station for intruders. The aliens setup an elaborate trap for Odo, the station’s shapeshifting security chief, by trapping him and lacing his body with explosive materials, leaving him unable to change form without risking detonation. Nearing the end, the action picks up when a single Cardassian vessel arrives, demanding Starfleet to hand over their intruders, Sisco’ refusal leads to the station being fired upon by the Cardassian ship. 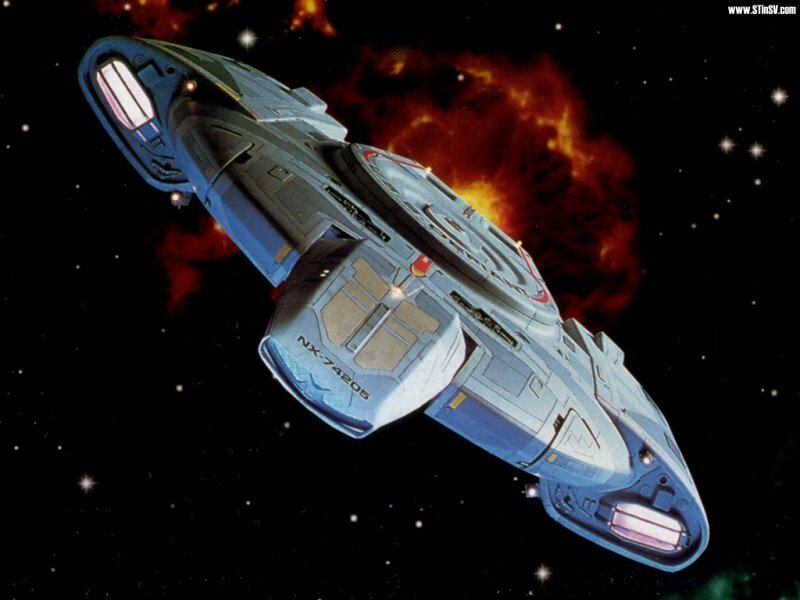 Sisco and his crew rush to the USS Defiant to defend the station from the attacking ship, but are intercepted by the intruders and are drawn into a phaser shoot-out. Captain Sisco is hit by a deadly blow and Kira is kidnapped by the invaders and forced to assist them in launching the vessel. 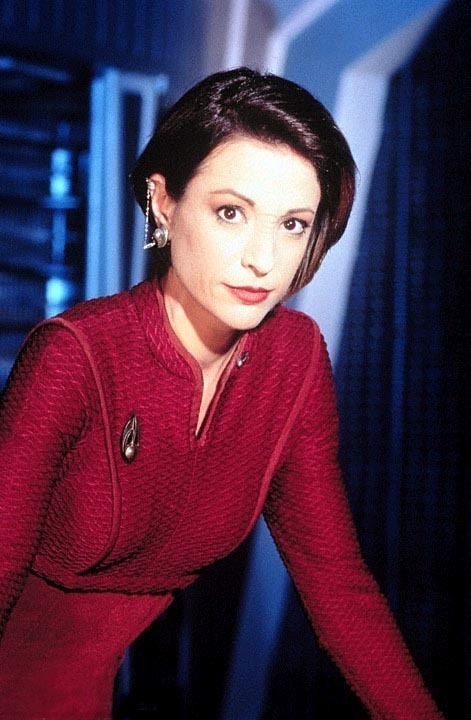 Kira’s revulsion of Cardassians is again brought to the surface when addressing the High Gul aboard the Defiant. The High Gul’s character is likely the best parts of this book and his dialogue here with Kira is excellent. He is able to mold Kira’s attitude of Cardassians by being truthful and making it known that he is from a time well-before Cardassia’s genocidal campaigns on Bajor. Kira’s prejudice is gradually broken and she agrees to help them pilot the starship and engage the attacking adversary from the High Gul’s past. The ensuing ship-to-ship combat was very satisfying. The Defiant faces off with no engineering crew, making each command critical. One wrong move could easily cripple the Defiant. After defeating their attacker, the story quickly wraps up on a somber note. Overall, this is very much the type of book I like to read. This was a very action-oriented story. I highly recommend Station Rage to anyone with the slightest interest in science-fiction. If you enjoy an intriguing story with action, stealth, station-wide emergencies, phaser shoot-outs and a gripping space battle, then take a look, you won’t be disappointed.